The Mosquito Control Program of Hillsborough County Public Works, Florida was established to protect citizens against the more than 40 species of mosquitoes that reside in the county. Their fight against mosquito-borne illnesses involves controlling the mosquito population with 75 traps and 20,000 larvae inspections per year. During the summer of 2016, Zika - a highly dangerous and infectious disease transmitted through the bite of an infected mosquito – swept the Americas and made its first U.S. appearance in Florida. As fears quickly escalated, local governments with vector control programs geared up to prevent the infections from spreading. Hillsborough County approached GISinc with an interest in deploying its Outbreak Surveillance and Control (OSC) Jumpstart with the goal of making the Mosquito Control Program more effective in the prevention of vector-borne diseases. The OSC Jumpstart is a focused rollout of ArcGIS Online solutions to streamline current workflows that vector control departments already have in place; thereby delivering a “Quick Win” and a foundation for growth. 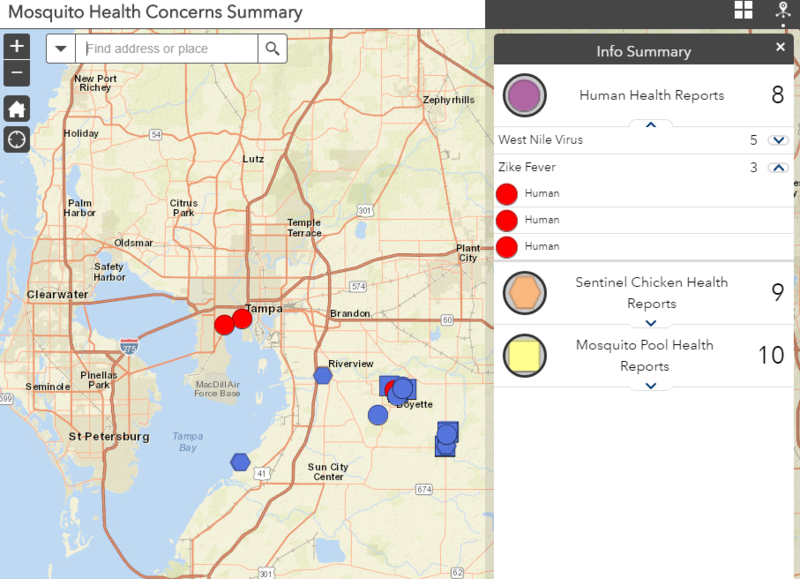 For Hillsborough County Mosquito Control, the quick win was an implementation of the multiple, off the shelf, Esri templates focused on different workflows within mosquito control. GISinc identified areas where current Mosquito Control workflows were not supported and implemented additional solutions to improve data collection for different inspections. Solutions for field crews, administration, and operations were put in place with relationships between each solution clearly defined. 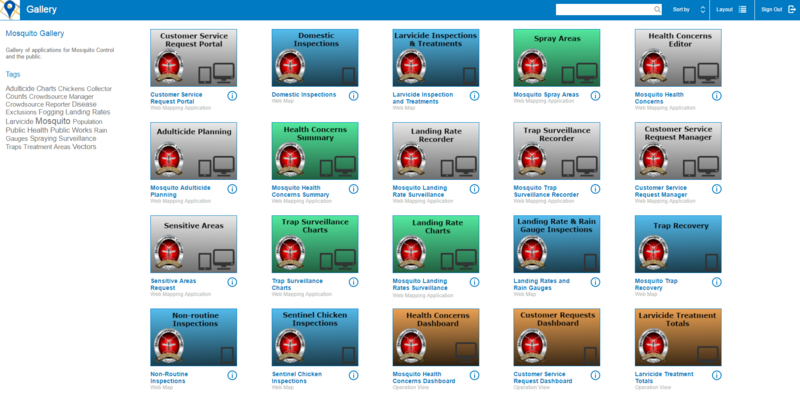 Dashboards were also created to improve transparency and data sharing between departments. 20 applications supporting 10 solutions and workflows were implemented. Paper-driven inspections were completely migrated to digital forms in Collector for ArcGIS. Metrics were automatically displayed on Operations Dashboards to show usage of chemicals for treatments. Using Web AppBuilder, planning applications allowed operations personnel to oversee what areas their trucks needed to spray each night. GISInc helped the Hillsborough County Mosquito Control Program to rapidly meet and exceed its goal to be more efficient in the services they provide while reducing the risk for Zika and other vector-borne diseases. "I want to thank [GISinc] for the incredibly successful jumpstart for mosquito control. You truly did an outstanding job. Fred Hartless, GIS Manager – Hillsborough County Public Works, FL"
View a local newscast of the Hillsborough County, FL OSC Solution Jumpstart here.